On what day is this? We have to establish a certain rules for this raids to be more efective, coz we loose a lot of time and resource without them. talk to your Squadron Leaders closer to event how to join the Pt. PHASE 1: meeting point Delta Canopsis . PHASE 2: Raids start from the system that Raid Commander Deside after he gives the Order to start the Mission. PHASE 3: dont solo in the Raid or you get killed. stay in Group and Follow Squad Leader's orders and you do fine. note to evryone! Xfire is required to evry Lord to have so we can stay in contact. - All Lords are to follow Lord Clan Rules and Regulations, as well as server rules and regulations. - If you are in Cylon space on a mission and find yourself out gunned get yourself out of Cylon space ASAP, or ask support from other Lord Members. - Recruits must be at least level 10, and guide them to the forum for registration. Officers/NCOs will help in the forum and/or ingame if needed. today i make new changes in Bsg LordSquadron Division! Sgt Coccobill will take charge at bsg Division and second in command will be Sgt Smuky. now Cocco and smuky can post events and commands here. This Week Mission Briefing - OPERATION: Wing Raid Friday 8:00PM ZULU (GMT Time zone). Cylons have more organization and take control of most system during the weekend. Me and Smuky Lead the Viper's Squad. Dillon and Soft Lead Escorts Squad. Major General Jani lead Lines Squad and Raid Group. we can start Wing Raid when we have 10 members online. MISSION: Hit and Run Missions on evry Posibble Cylon targets. soon as Raid Leader start to make Raid Group and he Gives the Order to Regroup at Regroup zone, then evryone will jump to Regroup System to wait raid to start. one Group haves 10 Members, if we have more then 10 then we can do 2 Groups. and we devide them so that both Groups have Vipers and Escorts so its 50/50. I will lead Vipers with Smuky. Dillon and Soft will lead Escorts. and Major General Jani lead Lines and the Raid Group over all. normaly Group jump last 25 Sec but if we shoot or get attacked then the jump last 1.20 sec and that time we might get Killed or lose the change to jump with Col Fleet to next target. PHASE 1: Deside safe system and Group up. This Week Mission Briefing - OPERATION: Wing Raid Sunday 7:00PM (GMT+2 Time zone). 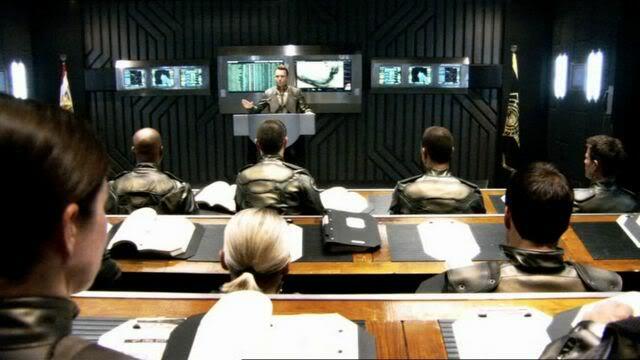 on Sunday we will Launch Counter attack on Cylon Outpost where Defence is not Strong. Smuky and Hindrik Lead the Viper's Squad. Smuky and Hindrik Leads the Vipers. well now my plans are changed too. my X Wife asked me to come there as we have some things to do. and not sure if she likes me to play too much. so i try to be online so we can do the event. if not i let you know in here and she dont have Xfire in her laptop and i cant install that to it. so cya all in 2 hours. my X wife desided that i cant use her combuter so thats why i was not online. No problem Jani, we can make an event in Saturday if all agree. And BTW o propose Oman 2, hindrik, colo and Dillon for a promotion, they where werrry supportive and theyre skills r raising well. Hopefully see u on BSGO sometimes. Lord'smuky wrote: propose Oman 2, hindrik, colo and Dillon for a promotion, they where werrry supportive and theyre skills r raising well. People grow and that's good. It is very important to create party to connect all the pilots online. We need to take into group leaders all pilots online. You are connected this group is very important. This Week Mission Briefing - OPERATION: Wing Raid HOLY Friday 8:00PM ZULU (GMT Time zone). Me and Hindrik Lead the Viper's Squad. Major General Jani and Smuky lead Lines Squad and Raid Group. MISSION: Hit evry vulnerable Cylon targets. I will lead Vipers with Hindrik. and Major General Jani with his second Smuky lead Lines and the Raid Group over all. P.S. I'll try to be online, unfortunatly i will be in tuscany this weekend and here the connection on Tauron server is very bad! In all cases start without me! LORDS MUST DOMINATE EVERY FRIDAY NIGHT!!! GOOD HUNT LORDS!!! This Week Mission Briefing - OPERATION: Wing Raid Friday to Saturday. SITUATION: this week Lord clan have done meny op Raid and we will continiue doing so even this weekend. Cocco, Hindrik or Smuky Lead the Viper's Squad. me or Smuky Lead Lines Squad and Raid Group. New Squad Leaders will be soon taken in to Service. Corporal RRVN will soon have his First Command on Viper Squadron!